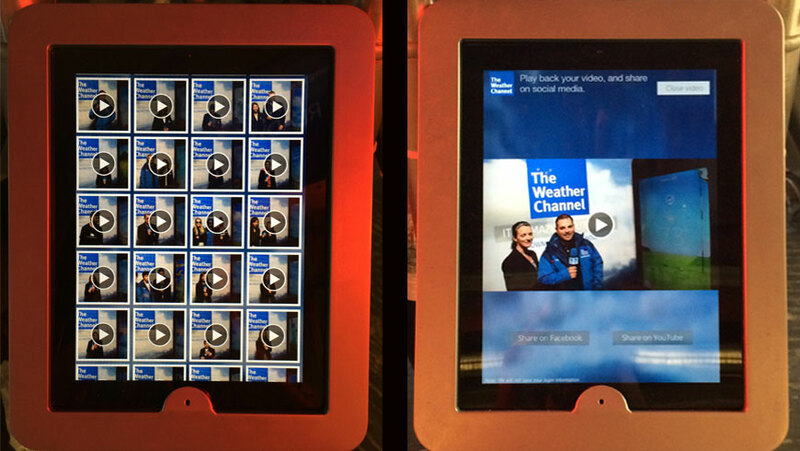 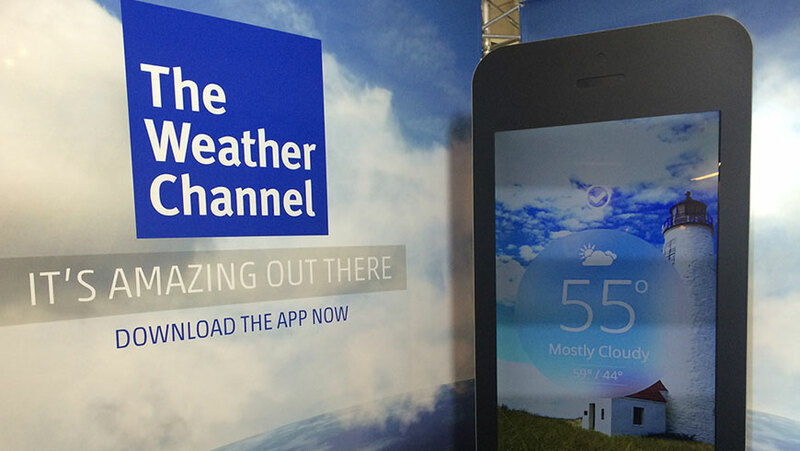 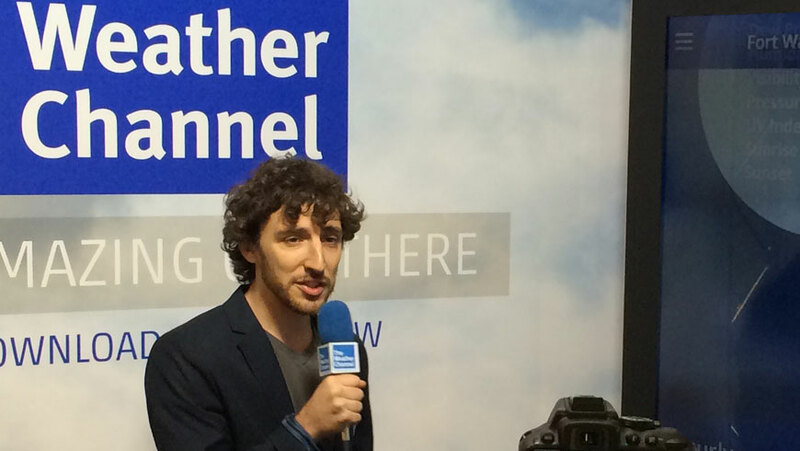 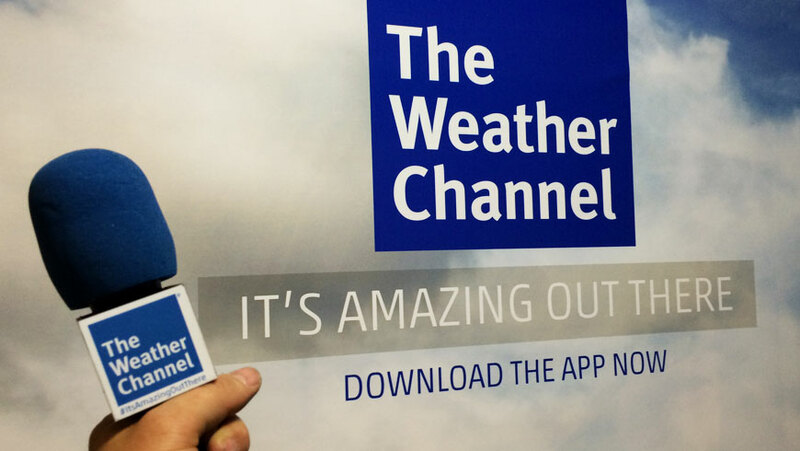 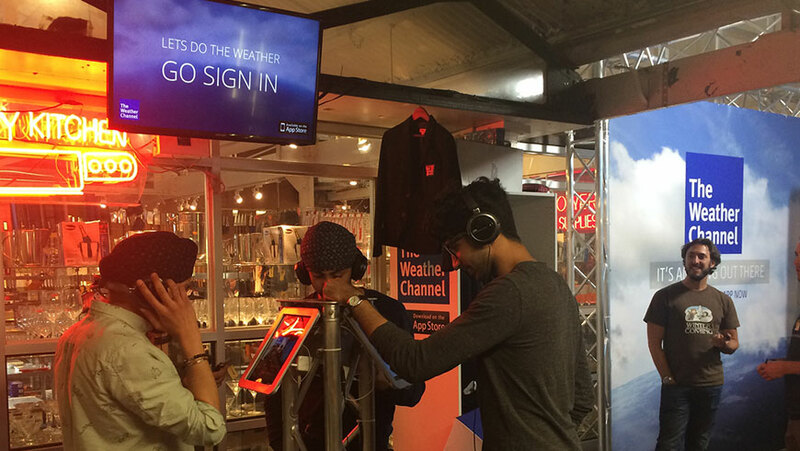 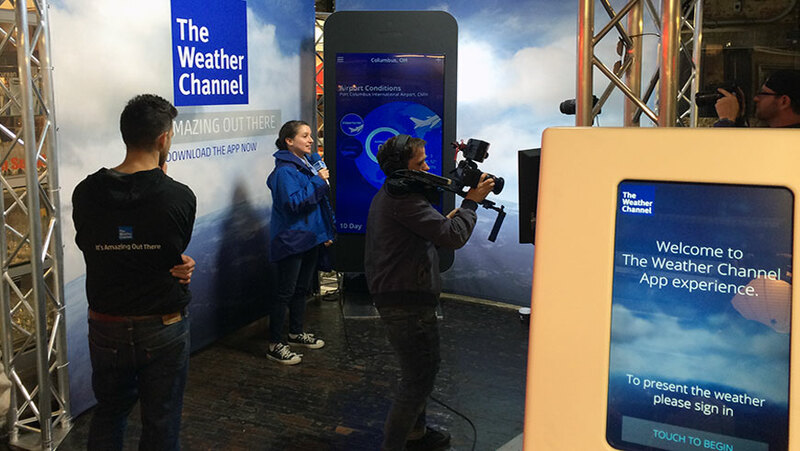 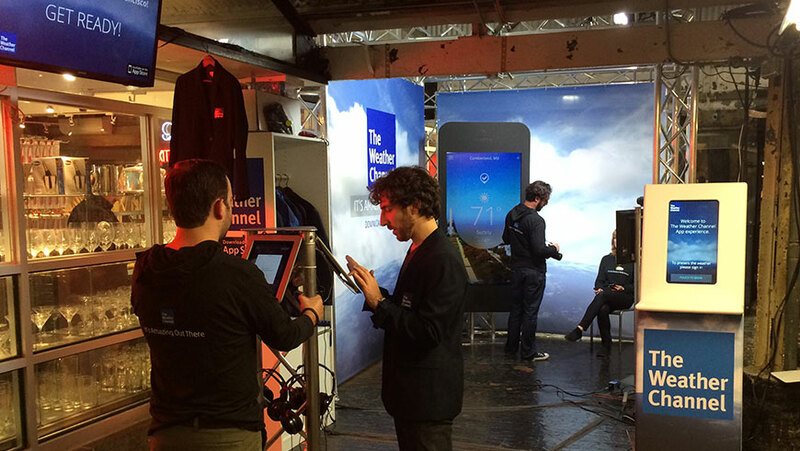 For The Weather Channel’s new app launch, they wanted to create an experience where people could create videos doing the weather while demoing features of the new app. 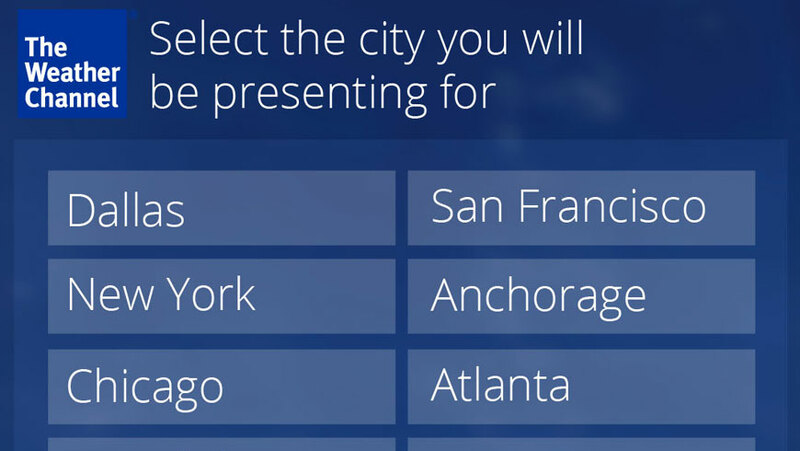 People signed up on a touch screen kiosk, chose which city they wanted to present for, and were directed to stand in front of the teleprompter. 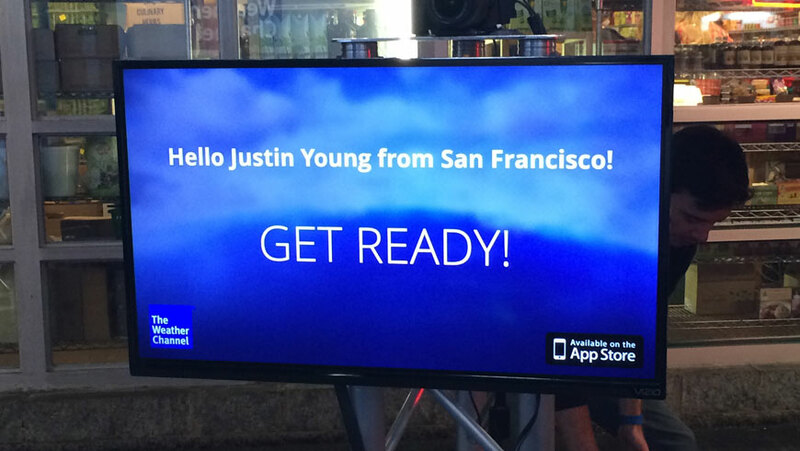 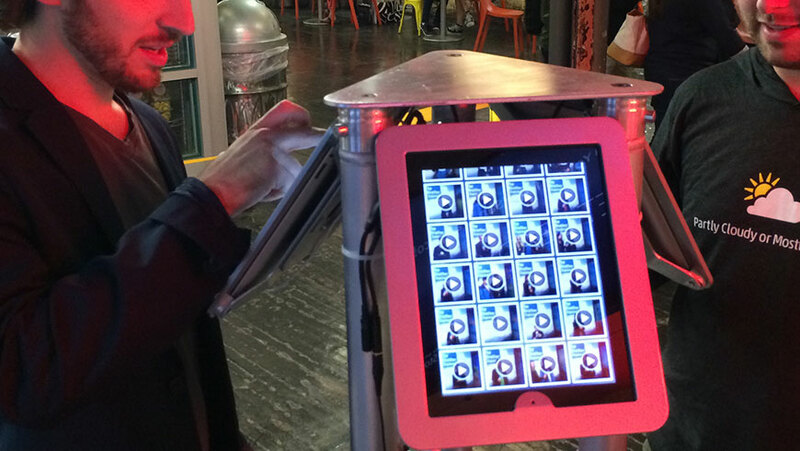 The video recording begins and a visualization mimicking the app feed of that city was displayed on the giant iphone. 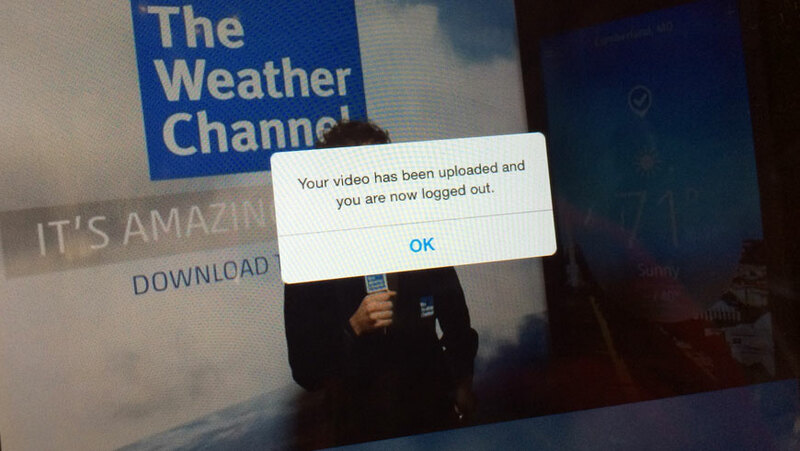 Once the videos were completed, they were automatically copied to a viewing kiosk where participants could watch and share their videos to Facebook, YouTube, or email on a custom application we developed. 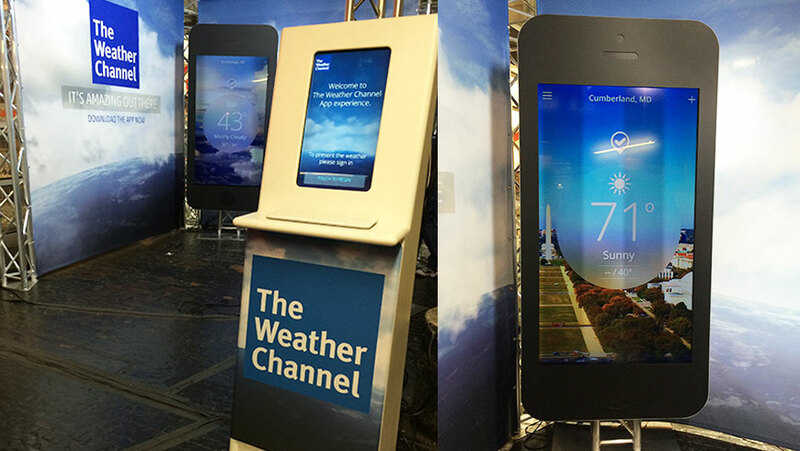 We provided design and fabrication for all of the physical installation elements, and all of the custom software and hardware for this project.